For the past several weeks, we have been under construction at my house. We decided that it was time to make some upgrades to our kitchen and a project that was supposed to take about 4 weeks, somehow stretched to taking about 6 weeks. It left me with a few days early in our Christmas break, where we had to stay close to home and yet I was unable to do the unpacking into the kitchen that I had planned to complete. On the upside, it gave me the chance to just sit around. It wasn't like I could be doing laundry or cleaning or cooking/baking or anything else, there was construction going on and I had to stay out of the way. While I just sat around, I took advantage of the time and sat around and read...and I thoroughly enjoyed it. Finding uninterrupted time to read is a luxury for me, as life as mom is a busy experience. The book that I was reading was The Wedding Chapel by Rachel Hauck. I have read a few of her other books, and surprisingly, although not part of the same series, there were still at least one or two references to a character in one of the other stories. Nothing is lost if you haven't read those books, but I love how the author uses that device to help make the other stories more authentic (is that the right word?). I love how Rachel uses the multi-character approach to telling the story. It allows the reader a greater insight into several perspectives and helps them more fully understand the story. With the story spanning 60 years, although focused in year 1 and year 60, if you will, she also takes advantage of the different times to keep the story moving, both with flashback portions as we are reading the story from one view point or another and with actual sections devoted to telling the story in a current fashion simply set in earlier year of the story. Both of these wound together, really let the reader fully immerse in the story and feel connected to all of the characters. Yet, even in all of this connection, she still manages to surprise the reader with minor turns and twists in the plots. Sure, some of the secrets you start to ponder and question earlier than they are revealed, but even with pondering, it is not until she reveals the turn that you are completely sure that you are right. 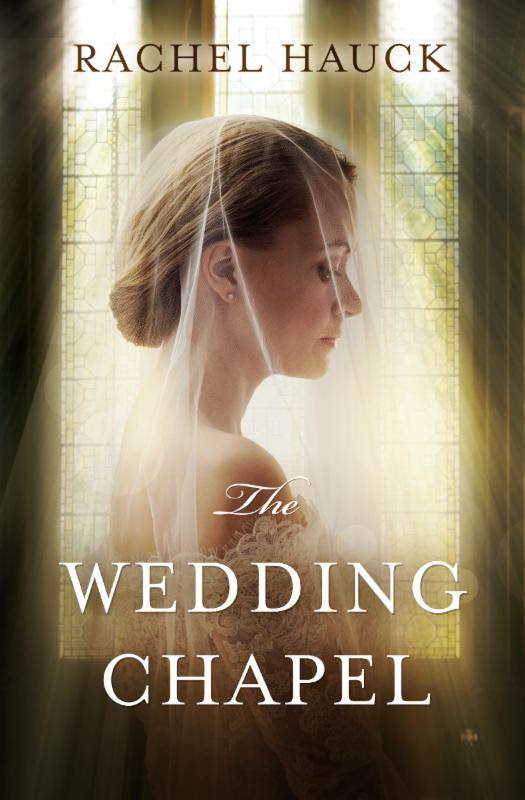 The stories told in The Wedding Chapel were realistic and experienced by what I would call everyday people, both of which allow the reader to be more fully immersed in the story and more able to relate to aspects of the story that they are reading. There are two main love stories, surrounded by other stories that help fill out the background, that despite the separation in time find themselves intersecting. There is growth that takes place in the characters and hard news to share and face along the way, as the characters learn and heal on their journey of love. I thoroughly enjoyed this novel and look forward to reading more by Rachel Hauck. You can learn more about the book and read other reviews on the blog tour landing page.